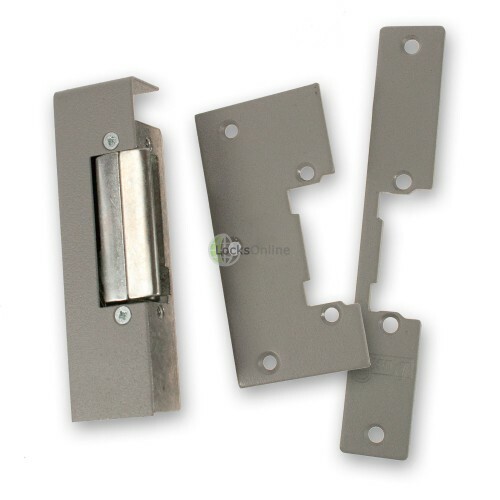 This cost-effective electric strike release will work with both standard mortice sash locks and traditional "Yale Locks" (rim nightlatches) and is designed primarily for domestic and other applications where usage volumes will be relatively low. 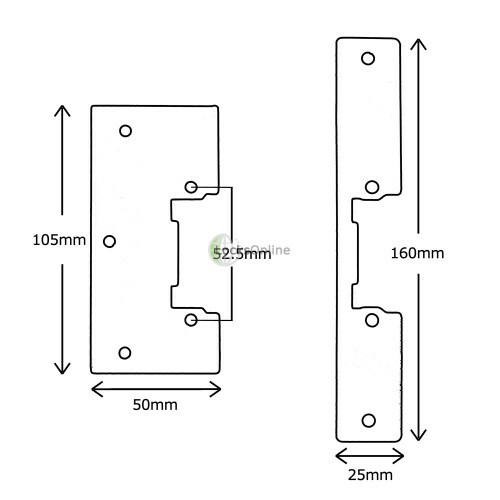 The main body of the strike is just 90 x 28mm with a 20mm depth, and comes with two powder-coated steel faceplates; a standard 160 x 25mm faceplate for a typical mortice application, and a smaller, wider 105 x 50mm faceplate, designed for use with a rim nightlatch (commonly known as a 'Yale lock'), which sits on the surface of the door on the inside. 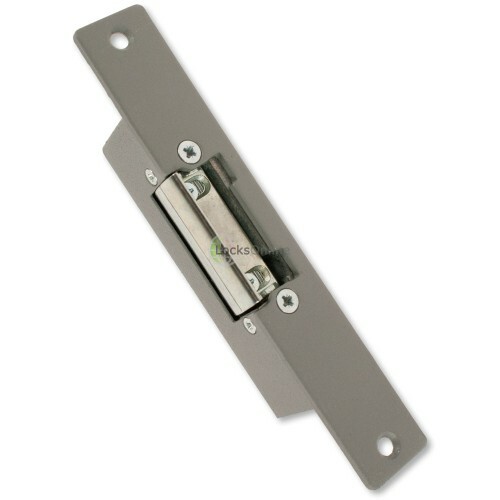 Incorporated into this clever design, is the handy non-handed design which allows you to use them on left and right hung doors simply by turning the strike upside down so to speak. These also have an adjustable jaw, allowing for a degree of tolerance and alignment-correction when fitting. 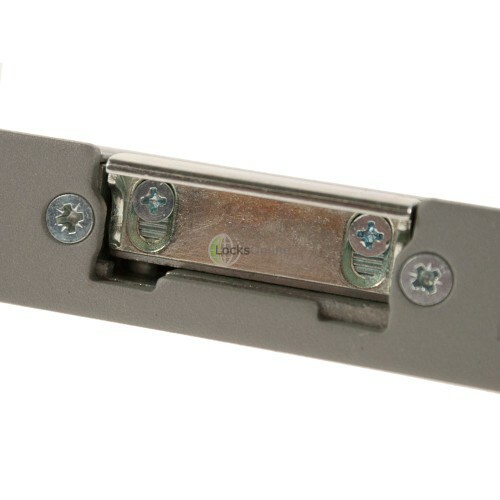 This adjustment allows for up to 3mm of extension on the lip of the strike. A little top tip for installing: the best scenario when fitting is typically to adjust the jaw to a mid-way position, then you have the ability to adjust the strike either way should you need to. In this case you'd be able to adjust the lip 1.5mm either way from the mid-position. 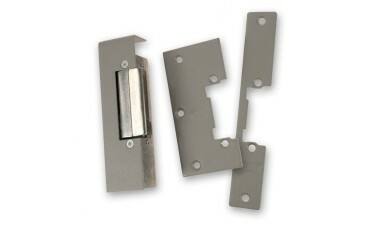 This jaw is made from stainless steel to protect against corrosion. 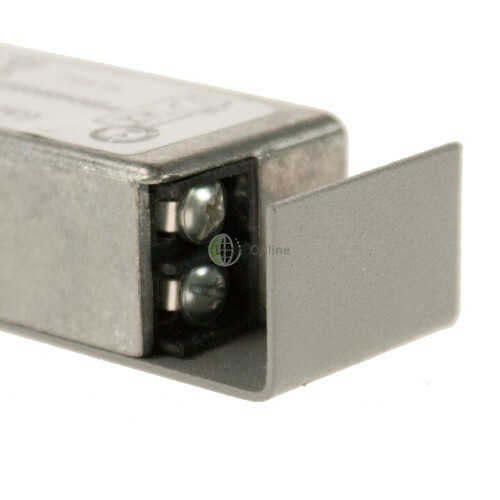 As you will see, these are available in five different models, with variations involving different voltages (12v AC / DC, and 24v DC), different fail-statuses, and some continuous-rated versions. 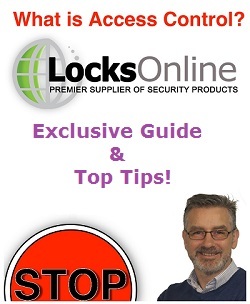 If you're unsure of voltage, this is generally dictated by the other components being used in your access control system, but if you're unsure then please by all means get in touch. If you don't know what Fail-Locked and Fail-Unlocked means, this is easily explained - the fail-locked option means that the strike only takes power to release, and therefore in the event of power failure, the strike release will be in the locked state. Fail-unlocked does the exact opposite; it requires power permanently to stay locked, and unlocks when de-energised. This means in the event of power failure the door would be free to open. In both cases it is always best to ensure you have a power supply with a battery-backup to maintain the operation of your system in the event of power failure. The continuous-rated models are built with a higher quality internal coil, allowing them to handle prolonged periods of being energised. The fail-unlocked versions have much tougher coils as standard, because they need to cope with being energised the majority of the time, whereas the fail-locked versions are only energised in short bursts in normal circumstances so they use a lower grade coil more fit for purpose. However if you do have a specific requirement to have them energised for more than the usual 5-10 seconds or so, then it is recommended to go for the upgraded continuous-rated models. 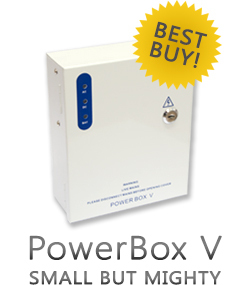 At such an incredible price, these are also backed by a fantastic 5 year warranty! Giving you peace of mind and making sure you get years of general use for your money.